Merry Christmas! Thank you for reading the eight edition of Knowledge7’s Picks of the Week on this special day! 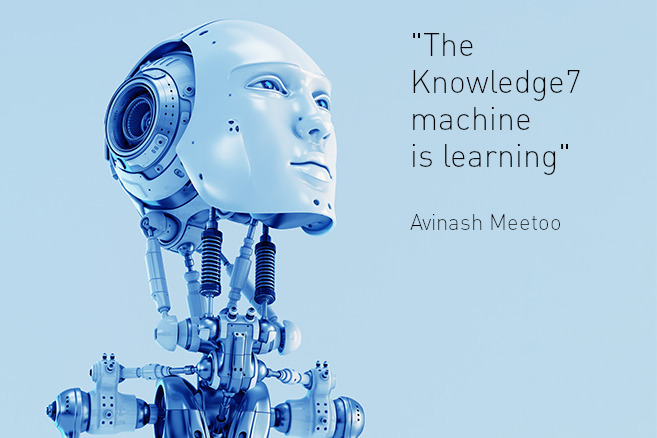 Every two weeks, Avinash Meetoo and his team of collaborators will make you discover interesting articles and websites to help you broaden your understanding of the world of open source software and information technology in general. Want to build a highly scalable RESTFul archirecture in PHP ? Choose Recess! By Chris Jordan, CEO of New Media Creations. Recess aims at developer joy, whether you are a beginner or a professional, Recess! puts you on the right track to bring life to your server. Running on PHP 5.3, Recess! gives you proper tools to quickly and efficiently build a REST API. Based on the MVC structure, Recess! puts at your fingertips cool developer tools ranging from tools for model,controller and view creating, code introspection and an application route summary that run as a bundled browser app. If ever after using Hibernate in Java, you have been crazy looking a similar one in PHP, then Recess! has a really nice looking ORM that automate a very important aspect, Lazy Loading. Besides being well documented and having a large community, there are many upcomming developments which include plugin system, model validation and an improved templating system for the views. Also, setting it on your server is free from crazy configurations, just download it, place it on your server, set up your database and start creating great apps in Recess! You want to save HTML from your clients, then bear in mind, not all client are ‘good’, some are really ‘bad’. ‘Bad’ Clients can insert malicious code within the HTML and then perform things that surely you wouldn’t be happy to know. However, to prevent these problems, HTML Purifier is here to parse your HTML from malicious content such as xss. Attackers can place series of xss within HTML. What HTML Purifier really does is that it tokenises the whole HTML content and defeats xss by removing all non-whitelisted elements. Morever, it cleans the HTML through ensuring that HTML contents are well-formed by validating all attributes according to their RFCS. Thus, aftet using HTML Purifier, your document is both safe from malicious code and also W3C compliant. In case , you are using some frameworks, then you are lucky enough because HTML Purifier Plugins are available for some major frameworks such as Drupal, WordPress, Joomla, Symphony and others. Formely CineFX, Jahshaka is a video editing software written in QT and uses OpenGL and OpenML. It provides solution for film compositing, editing and special fx system that uses OpenGL and OpenML hardware rendering to give operators real time interactivity. Edit your videos in an easy and flexible way, create effects in real time, animate, paint, add texts, support for many video formats, etc. – these are just a few of key features of this advanced video editor.The program is available for multiple platforms including Linux, Mac OS X and Microsoft Windows. Currently, the official page of Jahshaka shows a countdown to the release of Jahshaka 3.0. But if you are pretty impatient about it like me, you can try out Jashaka 2.0 from here. The picks for this week have been selected by Noor Bakerally, Research & Development Specialist at Knowledge7.